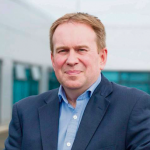 James has over 25 years of experience working in the telecoms, MVNO and retail industries. He is an expert in subscription based business models, CRM, direct and indirect channel management and major proposition development and launches. He has held a number of Marketing Director & Consumer Director roles with mobile networks and retailers and now advises boards and start-ups on business and marketing strategy. 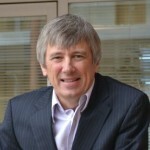 An experienced board director who has held roles at Vodafone, Cellnet, Viacloud. Tim has a strong commercial background having lead Vodafone’s Consumer sales organisation as well as owed retail channels, indirect channels, telesales, the Vodafone Wholesale business unit as well as being responsible for all SME sales. Tim is one of the founding Directors at Graystone and is also heavily involved in leading the charge to develop new business in the Internet of things. Peter brings over 35 years Retail and Ecommerce leadership experience, recently holding Managing Director roles in International Plc. and Fortune 500 companies. He has worked across a diverse portfolio of businesses including FMCG, Telecoms and Communications, Electronics, Department Stores and Apparel Multiples in the UK, US and Ireland. Peter consults on retail, e-commerce, vendor and commercial strategies. Vince makes it happen. He is a highly capable programme delivery specialist focused on project delivery and large- scale transformational change. He has over 20 years experience of Operational Management and Senior Leadership roles in Retail (FMCG and High Street), Leisure, Mobile Telecommunications and Financial Services as well as experience in the Public Sector. 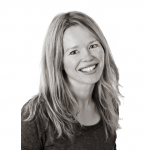 Anna has extensive experience in building customer propositions for bluechip organisations such as BT, Vodafone and Sainsbury’s. She has over 15 years of marketing experience encompassing proposition, go to market strategies, targeted marketing campaigns and customer segmentation and research. 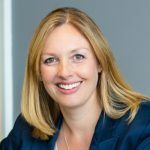 Laura has developed high performing teams in organisations such as TalkTalk and Vodafone for over 15 years. She is an NLP Practitioner, a certified DisC Psychometric profiler, is fully CiPD qualified and holds a Masters in Organisational and Business Psychology. 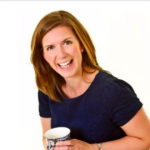 Laura works with our clients to develop leadership and sales skills through one to one coaching or by developing and delivering end to end training programmes. Toni provides writing and storytelling services to organisations who need to get complex concepts across using a human voice. She is a go-to resource for clients that require whitepapers, blog posts, LinkedIn articles and case studies that reflect their brand in a highly relatable way. With a career history that includes 10 years at Microsoft, Toni is particularly adept at helping technology companies. Recent topics include Robotic Process Automation, Global Data Protection Regulation, mixed-reality and the challenges facing Mobile Virtual Network Operators. Her diversity and flexibility gives clients a fresh pair of eyes and a wide frame of reference. She prides herself on keeping her writing jargon-free. 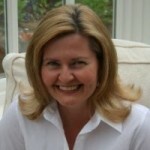 Toni writes for the joy of it too on her personal blog and has published three books which have led her to becoming a frequently requested speaker. Karen has extensive senior level experience in telecommunications from working at Cable and Wireless and Vodafone. As a consultant she has also completed customer experience assignments in the Finance sector with 2 of the major UK banks. Karen brings far-reaching expertise in all disciplines of product management and customer propositions as well being a customer experience practitioner who has developed strategies and frameworks to help businesses optimise every customer touchpoint. 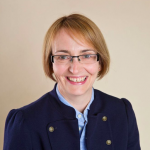 Georgina has over 17 years of corporate experience in the telecoms, technology and finance sectors having worked with large companies including Vodafone, Cisco, Lebara and deVere Group. She specialises in marketing and communications and has strong attention to detail. Formerly a teacher, Georgina wields a red pen and is a skilled proof reader and copywriter. She works with clients to create content for communications including blog posts, websites, newsletters and whitepapers. 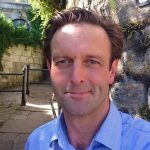 Simon has over 20 years experience of delivering projects and operational transformation for companies such as Vodafone, Sainsbury’s and Nortel. He has delivered projects for fixed operators, mobile operators, MVNOs and also has a huge amount of experience in FMC (Fixed mobile convergence). 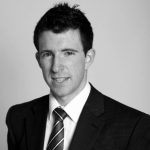 Hamish has over 16 years experience supporting global telecommunications companies. With a track record of successfully launching and growing startup telecommunications operations, Hamish’s experience includes the launch of 5 Mobile Virtual Network Operators (MVNO’s) in 5 markets. 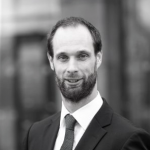 Hamish is a highly competent operationally leader with a proven track record of operating at C level both in project delivery and operational management. Tim is a very experienced project and change manager who has worked on major projects for brands such as Sainsbury’s and BT. Tim works comfortably with small start ups to large corporates and is equally at home briefing the board or rolling his sleeves in the implementation stage. He has a wealth of experience working in industries including MVNO and Telecoms, Financial Services, Renewable Energy, Telemetry and SaaS. 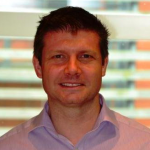 Chris is a highly experienced business analyst who has worked on major projects in retail, telecoms and utility sectors for large companies such as Three, Mobile by Sainsbury’s, Vodafone, Telefonica 02 and British Gas. 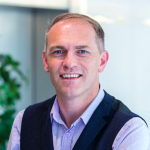 Chris possesses a particular strength in early engagement scoping and team alignment to help customers establish the ‘best fit’ in business analysis and project management for their requirements. Shane Lynn Ph.D. has over 10 years of experience in data analysis, machine learning, and data visualization. Holding a Ph.D. in machine learning and control engineering, Shane has applied analysis techniques to a variety of domains including finance, telecommunications, semiconductor manufacturing, telecommunications, and autonomous vehicles. 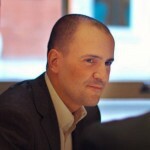 His most recent work has focussed on pricing optimisation, customer analytics, and process improvements. 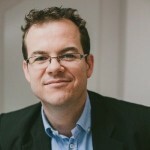 Shane applies analytics and machine learning techniques to business challenges using a data-focussed approach to optimise revenues and enhance business processes. 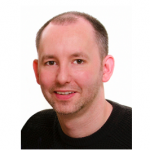 Bart Lehane Ph.D. has over 10 years of experience in the areas of software development and customer delivery. Bart holds an honours degree in Electronic Engineering, and a Ph.D. in the area of software-based video and audio analysis. Since completing his Ph.D. in 2006 Bart has held senior software development, research, and product management roles, primarily in the telecommunications industry and holding seven patents in the area. Bart works extensively on requirements gathering and analysis, project management, and overall system design and software development for analytics products and services in the telecommunications industry. Barry has extensive experience with working in the capital and cash management areas in both the consumer and business facing environments. 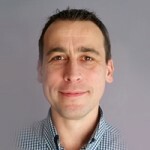 He is extremely confident with re-engineering billing, payment and receipting processes. 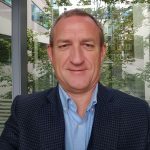 Educated to MBA level, he has over 20 years experiene in the Telecommuniactions sector, combining strong commercial acumen with ‘hands on‘ teamand project leadership.